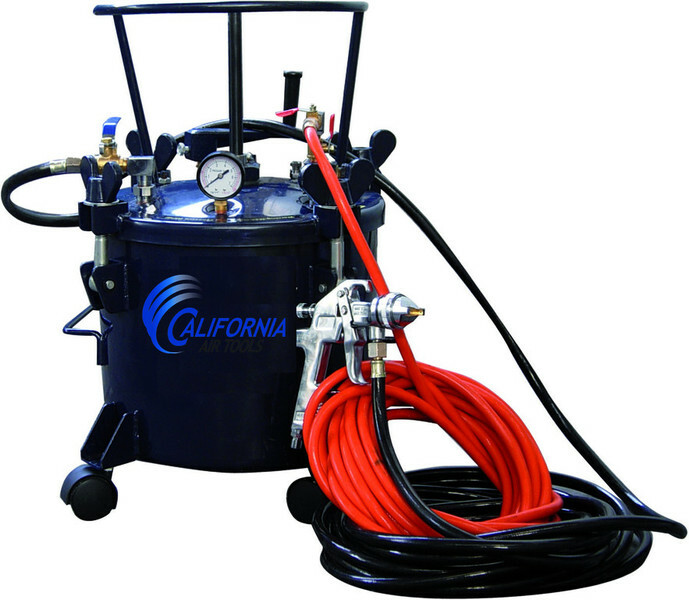 The California Air Tools 365 5 Gallon Pressure Pot Paint Tank with HVLP Spray Gun, Paint Hose and Air Hose. 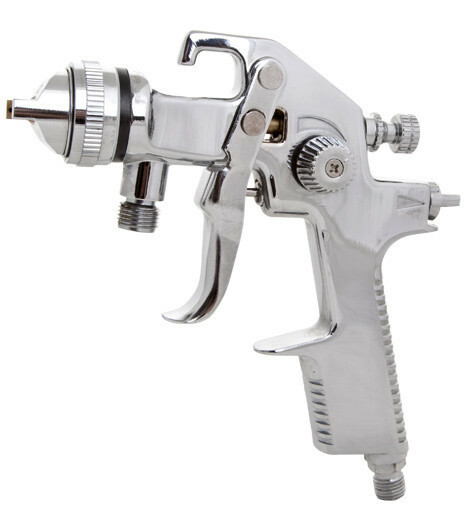 Features a Teflon® coated steel tank for easy clean up, (removable) casters for stability, double output regulator, On/Off ball valve, pressure relief valve and built-in agitator. Internal dimensions are 12 1/4" wide x 14 3/4"" deep w/ lid applied. A standard 5 gallon paint pal/bucket (Dia. 12" x H 14.5") can fit inside. Exterior dimensions are 16" wide x 27" high w/lid and agitator assembled.